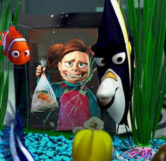 Darla is a character who first appeared in Finding Nemo and is known for shouting, "FISHY!". 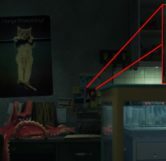 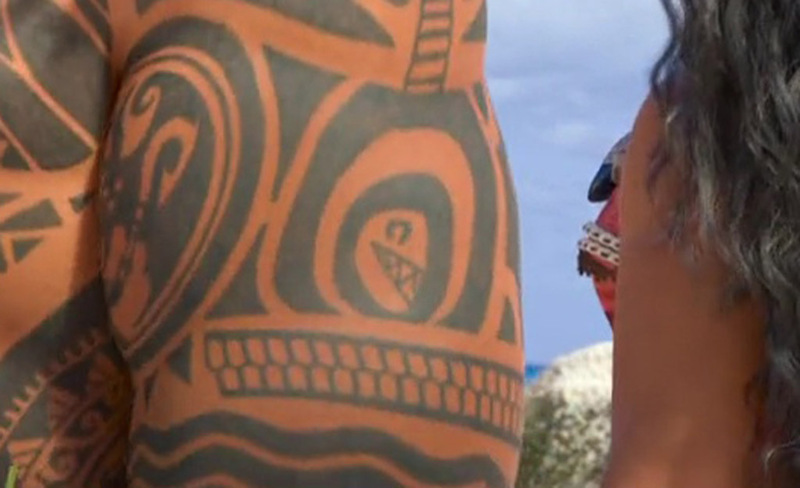 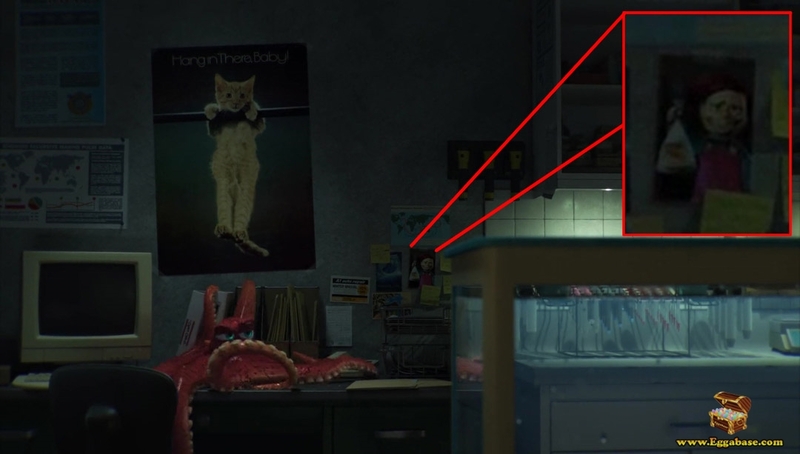 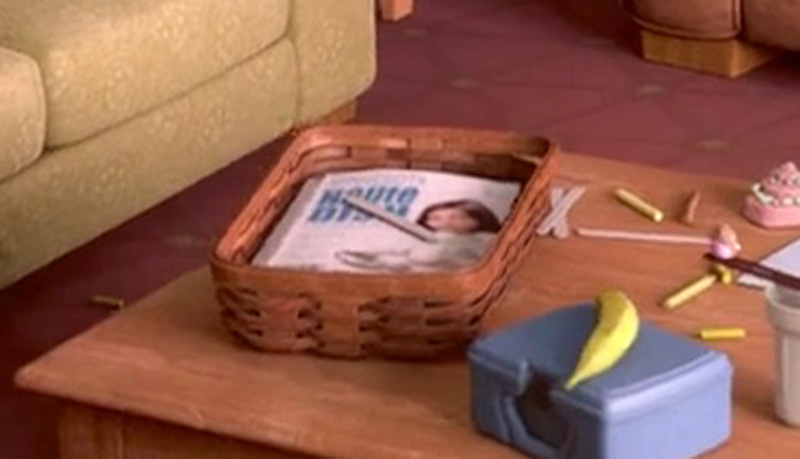 In the scene where Hank first appears after camoflaughing himself as a cat poster, to the right of the poster there are a number of small pictures. 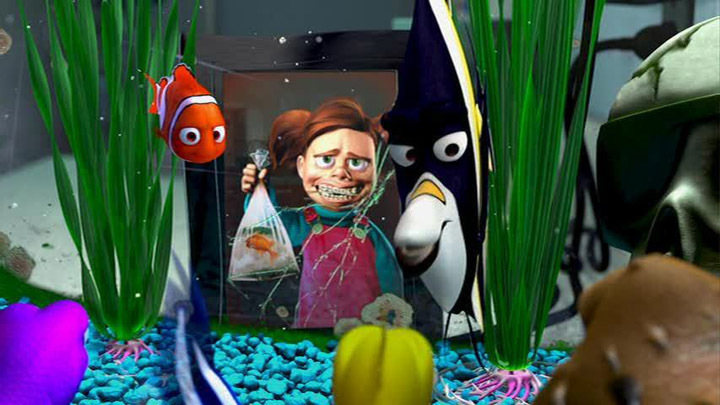 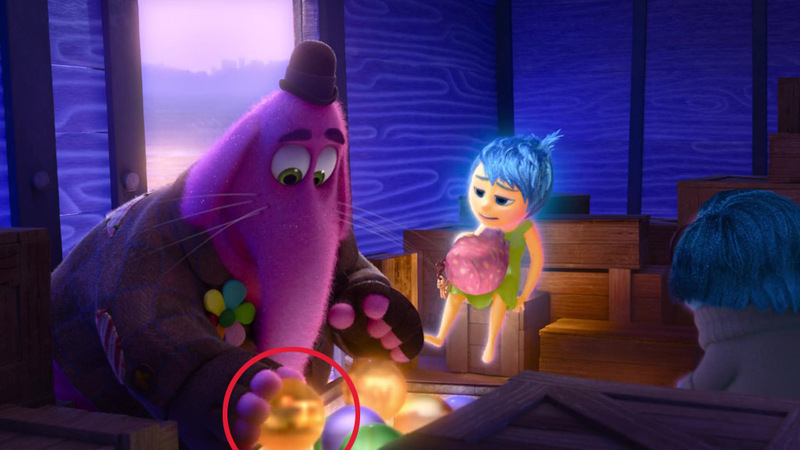 One of these pictures is actually a picture of Darla Sherman, the little girl in Finding Nemo who got Nemo (briefly) as a present after a visit with her uncle, the dentist. 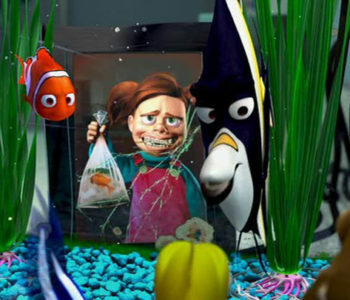 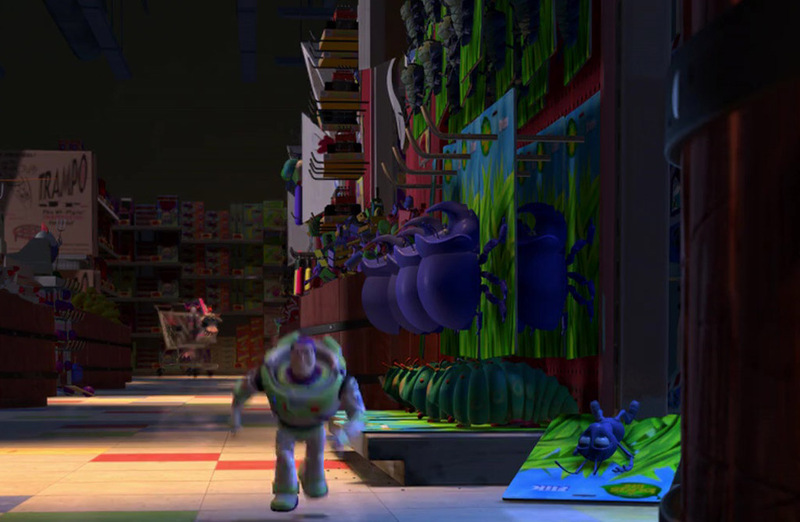 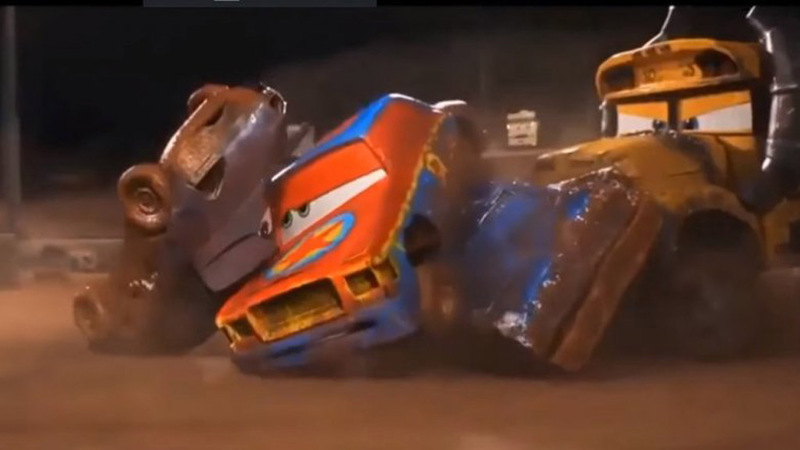 The picture on the wall is the exact same as the one seen after Nemo is introduced to the “Tank Gang” in the dentists office.